Still the same name, but Heimdall has been on a long break from the musical activities. 8 years ago their last album Hard As Iron was presented, but on their new 5th album Aeneid they are not that hard on the edges. 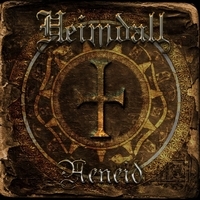 Gandolfo Ferro is new on the mic, and there has been changes in the way that Heimdall play their music, and not for the better to say it more directly. 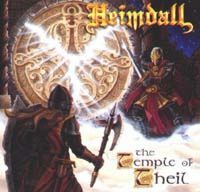 Heimdall is grasping at the edge of survival, and on the new album there is only a couple of songs that holds some genuine quality, Forced By Fate gives us fresh symphonic heavy metal with a touch of stars and glory. Waiting For The Dawn is hard symphonic and melodic metal with guts for more attempts to go totally metal, but the rest of the songs are mixed with ballads, metal pop and boring stuff that is not moving very much in any direction. When speaking about melodic metal, besides Germany, it's Italy that comes to my mind. 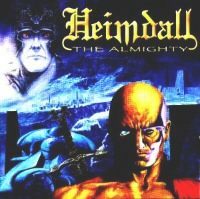 With this third album, Heimdall is a fine example. Since the last The Temple Of Theil, two major changes occurred: new record company and new vocals. Older albums have great songs, but somehow were damaged by the former vocalist, specially in higher tones. The new vocals Giacomo Mercaldo, if we discount the Italian accent and the need for English classes, makes a more efficient work. The main man is still the guitar Fabio Calluori, that wrote almost all material, and this guy has an excellent feeling for melodic tunes. As a general evaluation, the result is positive, a little bit softer and with more keyboards than older works. All the album is very melodic, most is fast, some variations and chorus are great. My fave songs is Godhall, that touches the progressive fields, and the emotional acoustic Symit, that ends the album. About the production, personally, I would prefer guitars higher and vocals lower. Work hard and no. 3 will make it or break it! Good luck!